Om du köper detta objektiv följer det med ett motljusskydd, vars modellbeteckning är "LH680-01 789". Text från Sigma: "Designed for use with full frame digital SLR cameras. Minimum focusing distance of 19.7 inches & allows macro photography with a maximum magnification of 1 to 3. 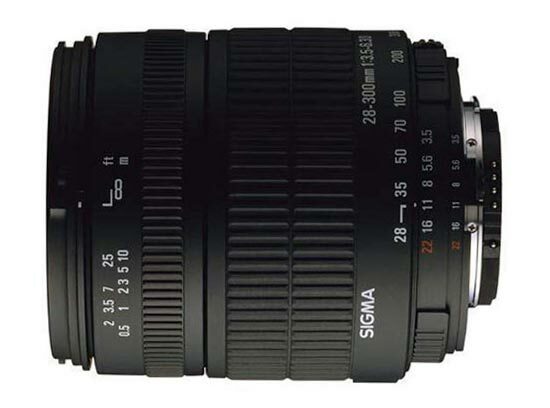 Sigma’s 28-300mm F3.5-6.3 DG Macro is another perfect option for the photographer who is looking for a compact, all purpose lens they can keep on their cameras virtually all of the time and not compromise quality or exceptional photographs. This lens is a high performance zoom lens that can move from wide angle to telephoto to close-ups in an instant and is so easy to carry around you’ll want to take it everywhere so you never miss a shot whether it be scenic and landscapes at the wide end and sports action or you a day at the beach at the long end. This impressive lens delivers a most impressive range and produces stunning photographs."